Watch the full movie, Kanne Manasulu, only on Eros Now. 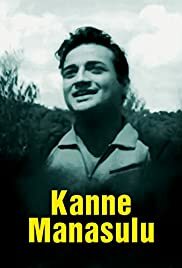 Kanne Manasulu is a 1966 Indian Telugu film, directed and produced by Adurthi Subba Rao. The film stars Krishna, Sandhya Rani and Ram Mohan in lead roles. The film had musical score by K. V. Mahadevan.